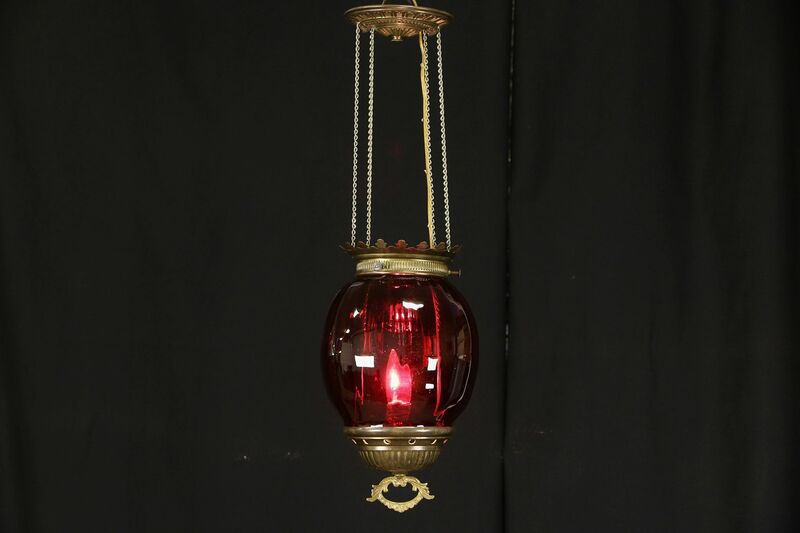 From the Victorian period about 1880, a patinated brass hall ceiling light has its original blown ribbed ruby stained glass shade. Originally kerosene burning, this antique lamp has been rewired for electricity with a standard base socket. "Jack" chains are locked in place, they could be lengthened or shortened. Shade diameter is 7" and height from the bottom handle loop to the top of the original upper cap is 23" as shown, not including the adjustable hanging chain and standard modern ceiling cap.